Gold Guardian Angel Necklace is the perfect protection Necklace and it's a perfect summer vibe! Wear this with our Neon Collection for that ultimate versatile look! This necklace is inspired by our founder, Oliver Proudlock’s love of religion. Like Saint Christopher, the Patron Saint is about protection during travel. For those that do not travel, we have a Gold Guardian Angel Necklace that will protect you anywhere you go. This is a perfect present for a loved one or family member to keep them protected at all times. 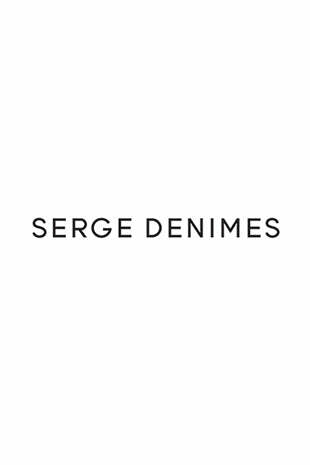 Oliver Proudlock channels his passion for fashion and art Through his brand Serge DeNimes, and its original, urban designs. Expect signet rings, symbol pendants and gold-plated earrings cut for men but with unisex appeal. The necklace is on an adjustable chain, choose from lengths to 34cm, 32.5cm, 31cm, 29.5cm. Perfect for layering with other necklaces - the style trend of 2018. The pendant is 3.5cm long.